To see the potential of passive solar is like an entry to a whole other world. A kafka-esque world in which most of our houses and streets are facing the wrong way and trees are planted in a haphazard manner that most often hinders our right-to-light. To take full advantage of the passive power of the sun, existing neighbourhoods would have to change orientation of houses and streets and remove houses that shade out other houses. At present passive-solar considerations are not used when building new subdivisions, and there are no laws on the horizon to start making that happen. New subdivisions are being built that are energy-hungry and out of date. When people think of solar power, they often don't think past a rooftop installation for electricity or hot water. It's not generally known that your storm porch and south-facing windows can be helping to heat your house right now, and that power can be amplified. Passive solar is the heat and air movement one can gain by the design considerations of a building and has been made use of since prehistoric times. Houses can make use of solar gain - the warming of a space or structure by sunlight - by having larger south-facing windows and smaller north-facing windows and thicker north walls, as well as by placing living spaces to the south of the house and by having sunlight fall on to a source of thermal mass. Something heavy like concrete, stone or tile make for great thermal masses, substances that holds onto heat and slowly releases it over time. Wayne Grozko works as renewable energy coordinator at the Ecology Action Centre. He also freelances as a consultant and builder for renewable projects including passive solar and straw bale constructions, durable houses that use straw bales as a construction material. The bales are plastered and create a house that breathes and is highly insulated. Grozko also helped green carpenter Zak Miller build the Bloomfield community greenhouse on Almon St. In Halifax, between Robie and Agricola. 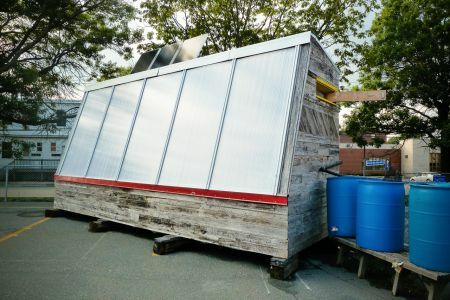 Most progress on the passive solar housing front in Nova Scotia is being made by individual home owners building their own new houses from scratch. "Passive solar is really only occurring in custom-built houses,” says Grozko. “A passive house will cost maybe 20% more than a typical custom built house." Grozko attributes the higher cost to passive solar houses using more insulation materials and having thicker walls. Some components, like triple glazed windows may not be available locally and need special care to install. More labour costs are incurred just because the house is built to a higher standard of quality. The pinnacle achievement of passive design, and most stringent building energy conservation standard in the world, is a German invention, the passivhaus, or Passive House standard in Canada (www.passivehouse.ca). A Passive House can be built in a variety of ways but the result must be the same: the heating and cooling of a house using nothing but the sun. A Passive House has no furnace but accomplishes heating and cooling through design considerations and superb insulation. Any structure, including schools, houses, office buildings, kindergartens and grocery stores can be and have been certified Passive. The building must be designed to have limitations in annual space heating and cooling not more than a certain number of Kilowatt hours per m² per year. Tim Naugler, of New Brunswick, commissioned and owns Naugler house. He explains that he paid 10% more to bring his house to a Passive House standard than he would for a comparable house (an extra $36,000 on top of a $254,000 house, or an increased cost of a little over 10%). However he immediately began to save money: while he saves $2100/year in heating, he pays an extra $1980/year on his mortgage, a savings of $120 a year. Once the mortgage is paid off, he'll never have to pay for heat again. There will also be savings on furnace and other maintenance. Naugler House designer Garth Hood tells me that while New Brunswick's unusually cold winter season has brought typical heating bills of $300 or more per month, Naugler House's heating bill for December - January went up by only $21.70. Solterre design created a Passive House called the Concept Cottage. * Concept Cottage is entirely off-grid and LEED platinum certified, the highest independent certification level available to green buildings, homes and neighborhoods. Says designer Jennifer Corson of Solterre, "Not all of our projects incorporate active solar systems, but all attempt to take full advantage of available passive solar energy. First though, consideration for a minimal footprint and an energy-efficient envelope is always key - conserving before collecting." For renters in Nova Scotia, the potential to make maximum use of solar energy is mitigated by what one can actually do to a rental property. Andrew Holley is president of the Nova Scotia homebuilders association, and also works for CISCO, a company responsible for many new subdivisions in the Bedford area. He spoke at a panel discussion hosted by the Ecology Action Centre on January 9. I asked about the potential for passive solar in subdivision construction. While new houses must conform to stringent insulation specifications, there doesn't seem to be anything on the horizon for alternative heating sources such as passive solar gain, wood or geothermal. Holley doesn't think we'll see an entire subdivision pointing the right direction in our lifetime. 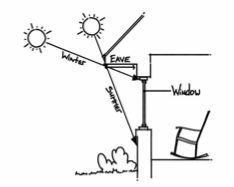 "When you take passive solar you have to be able to take the house and put it 'here' (with a proper aspect and tree placement),” says Holley. “You can't do that in any subdivision I ever met. 35% to 50% of a new subdivision has to be given as parkland or green space. You've only got 50% of the subdivision a piece of land to do something with. 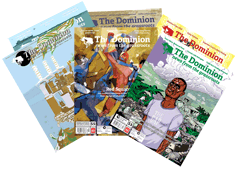 “So you have to…align the streets and the houses in order to compensate for the portion of land that you cannot build on… (Y)ou have flora and fauna that you have to protect, fire services, and all the different elements of a developing community. And you have to make it profitable. So they only way to do that is to jam all the houses into a corner all together." Excitingly, a consultation was commissioned early last year by The HRM Energy and Environment Office and the Environment and Sustainability Standing Committee. The consultation did include a passive subdivision feasibility study. 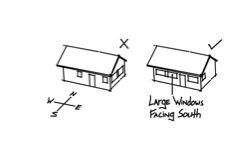 A passive subdivision must have streets running east-west, houses with the long side facing south, and more windows on the south side. The study found that arranging streets in this fashion sometimes conflicted with bylaws around how close a house can be from the street, another house, or a waterway. The study found that an experimental region with larger lot sizes increased the flexibility of moving houses around, whereas in subdivisions with smaller lot sizes, bylaw violations meant that the passive neighbourhood had to lose 9 out of 46 lots. 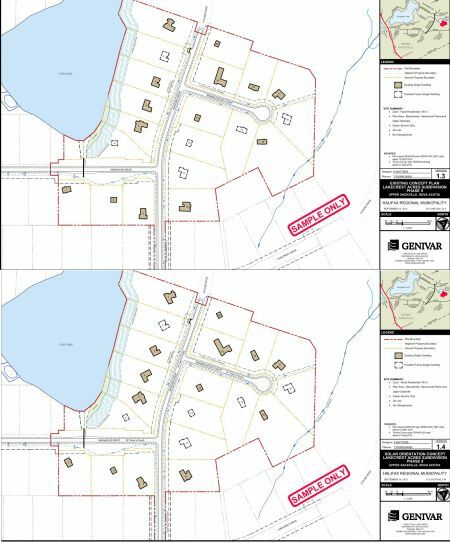 Genivar inc. who carried out the study, recommended that bylaws be made more flexible for subdivisions incorporating passive solar aspects, a subdivision Genivar says would be the first in Canada. "One obstacle to creating new smart construction is getting everyone involved in looking past up-front costs to returns on investments over time,” says Grozko. “There is inertia in the construction business: builders are used to building a certain way, especially if they have a high volume of business, and changing established ways takes time. Passive solar construction has not trickled down from custom built houses to the level of subdivisions or apartments yet. We need prefabricated passive solar. “We can build new homes now that do not require purchased heat, for not much more expense than we are paying how. Between those custom homes and what we expect out of our regular everyday housing is a huge gap. A custom Passive House is significantly above the budget of maybe 80% of the population, maybe $240,000. However in the housing market it's not unusual to pay a half million dollars or more for a house. It wouldn't be hard to build a passive subdivision with the political will, good design and perhaps some public investment. There would be good health implications we wouldn't need to make a decision each winter to heat or to eat". 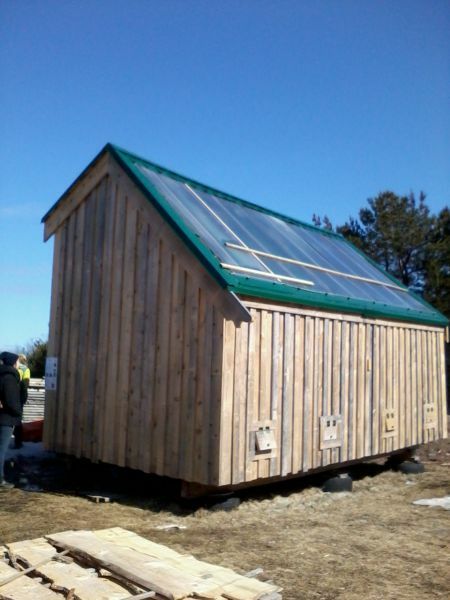 Solar Nova Scotia is an organization that has offered courses in solar energy for over twenty years. Canadian Solar Home Design Manual available at the Ecology Action Centre or online. Efficiency Nova Scotia has been offering grants and interest-free loans to homeowners since 2010 for solar hot water, solar forced air or renovations to improve efficiency such as insulation or replacing windows and doors. If you are a homeowner, you can apply to the Solar City project and if you are selected, get an assessment and have solar hot water installed and either pay upfront or over 10 years at a fixed 3.5% interest rate. They will also calculate grants for which you may be eligible. Around 1000 systems are installed per year and the program typically accepts batches of registrations every 4-6 months. Solar city only works with solar hot water and water conservation. The only service that is available to renters and people other than homeowners is an adjunct to Solar City, a free service installing objects such as CFL lightbulbs or hot water tank insulation. *Erratum: It was originally stated that Concept cottage was the first Passive House in Nova Scotia, that honour in fact goes to Hawkins House in Hubley (http://www.hawkinshouse.ca/). The author apologizes for the confusion. Submitted by Christopher_Majka on Wed, 01/29/2014 - 11:43. An excellent and thoughtful article. When passive approaches (passive solar, insulation, thermal masses) to renewable energy are coupled with active approaches (solar, geothermal, wind, heat pumps) then even greater gains are possible. While passivhaus is a superb approch, it won't be suitable for all and we have a masive inventory of existing housing (in Nova Scotia and everywhere) which we have to energetically optimize as rapidly as possible. By employing solar space heating (active & passive), solar hot water, a heat pump, limited photovoltaics, and insulation (of roof, attic, walls, & foundations) in my 1918 vintage house, I've been able to acheive significant improvements to its comfort, efficiencey, and economy. A combination of high and low tech, and passive and active technologies we can acheive significant improvments while not breaking the bank to do so. My only other comment is that the Bloomfield Greenhouse doesn't appear (at least in the photo) to be parabolic in shape. Submitted by jenstotland on Wed, 01/29/2014 - 12:17. Hi Christopher, thanks for the feedback. Perhaps the parabolic shape is not apparent in the photograph. The south-facing glass is the largest wall, and inside the building the interior walls slope in the middle forming a cone shape. The raised beds are located at the focus of this shape. While it is impractical to make every home in Nova Scotia into a passivhaus, passive solar renovations like insulation, larger south-facing windows, storm porches and interior thermal mass will make a huge difference. Submitted by mfanderson on Thu, 02/06/2014 - 09:53. Good article, but the first certified passivehouse in Nova Scotia is actually the Hawkins House, designed and built by Passive House E-Design, who also were the PassiveHouse consultants on the Concept Cottage. On an unrelated note, we are finding that the often-quoted figure of 10-20% additional cost for a passive house is not always accurate. In my experience, final cost has much more to do with finishes (ie, siding, granite countertops, fancy trim) than envelope (ie. insulation and airtightness). Good design saves money and energy, and bad design wastes both, so a well designed passivehouse can actually be cheaper than a code house of the same size. That said, I usually tell clients 15% more for passive, too. Submitted by jenstotland on Thu, 02/06/2014 - 19:48.